The Minister said that a team consisting 70 officials from Union Environment, Forest and Climate Change Ministry and the Delhi government will initiate the joint campaign from February 10 onwards. 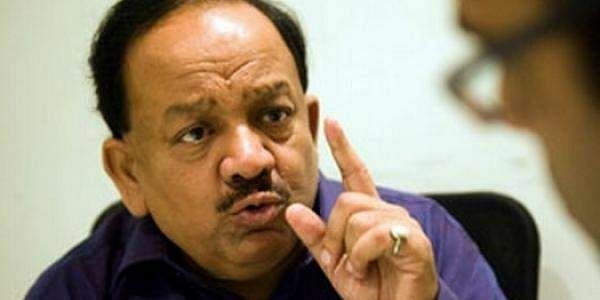 NEW DELHI: Union Environment Minister Harsh Vardhan on Friday said that the central government will, along with the Delhi government, launch a two week long joint campaign for clean air in the national capital next month. Experts from Central Pollution Control Board (CPCB) and Delhi Pollution Control Committee (DPCC) along with civic bodies will also join in, he said. "The campaign seeks to sensitise ground-level functionaries and general public to enforce the habit of environmental protection," he said at a meeting on mitigation of air pollution here. Harsh Vardhan, who is also an MP from the capital, said that the teams of officials will have a check list focused on mitigating pollution along with effective measures for solid waste management and prevention of garbage burning. He said that Resident Welfare Associations (RWAs), shopkeeper associations and the civil society will be encouraged to become a part of these teams and participate in the campaign for mitigation of pollution.